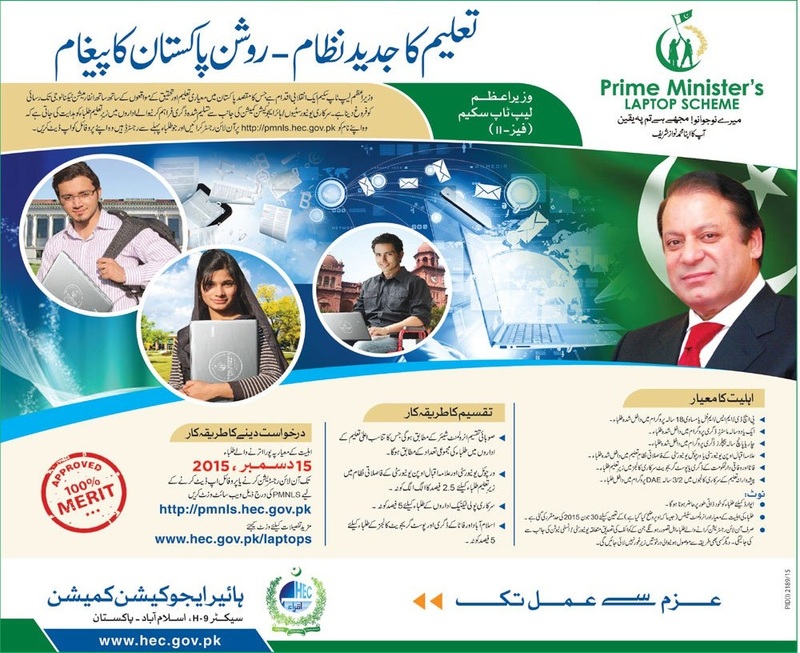 Laptop Scheme is part of the Prime Minister's Youth Program which was started in 2013. First phase of laptop scheme is launched in 2013-14. Now government has started its 2nd phase. 100,000 laptops were distributed in the first phase and another 100,000 will be distributed now among talented eligible students on 100% merit based policy. These laptops are made by Haier and have pre-installed a number of useful software, and access to HEC National Digital Library. All students who are currently enrolled in PhD, M. Phil, Masters Degree, 4 or 5 years Bachelor Degree, Students of VU, Students of AIOU Distance Learning Programs, 2 or 3 years DAE and students of Government Degree and Post Graduate Colleges of FATA and Federal Capital. For more information, click on the following image to view enlarged.